From our Park Slope apartment, perched on high ground, we were very lucky to avoid the brunt of the terrible storm that lashed the east coast of the US last night. Unlike friends in lower Manhattan, we never lost power, so the whole experience was actually like a very cosy house-arrest-date with my favourite person, spent drinking beer, cooking and watching a version of Twister that went for 24 hours on the Weather Channel/CNN/Twitter. Throw the lot into the blender and grind down to a slightly-chunky paste; season with salt and pepper to taste. 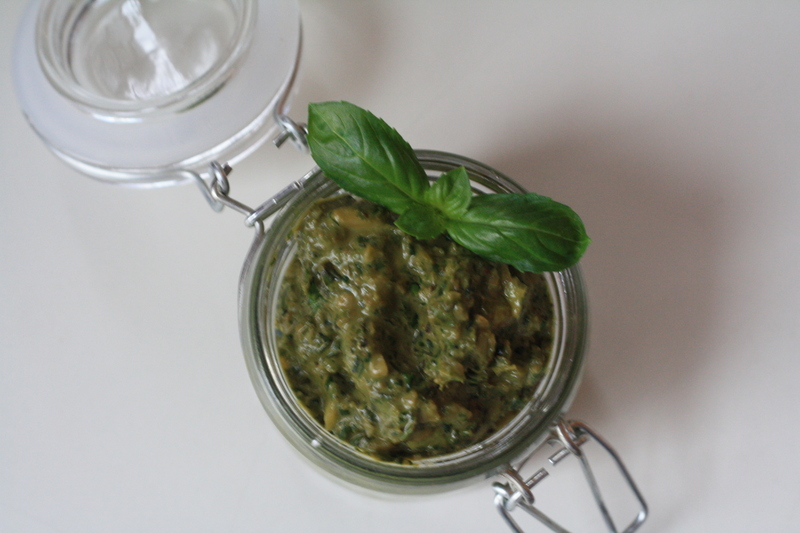 Serve in an air-tight container with a film of olive oil over the top to stop the pesto turning brown. It won’t make a lot but it’s so tasty a little goes a long way. Stir into pasta, spread on a sandwich, dollop on risotto, etc.